SAJAVAT: Ganpati decoration with warli theme! 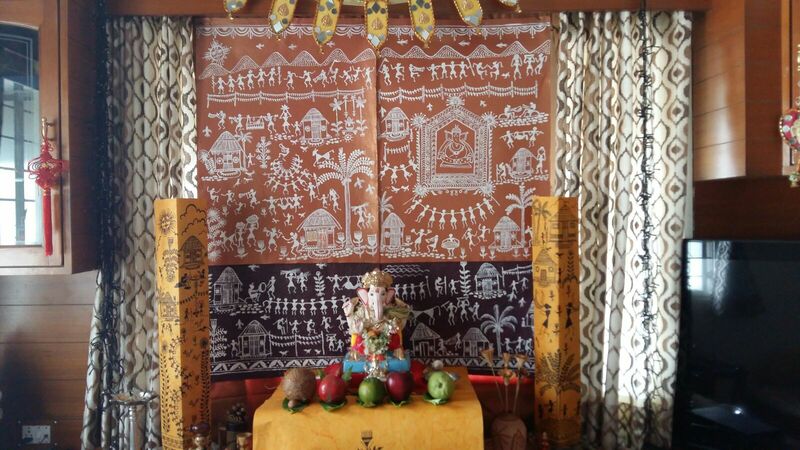 Ganpati decoration with warli theme! These are images from my archives which I wanted to share with all of you. 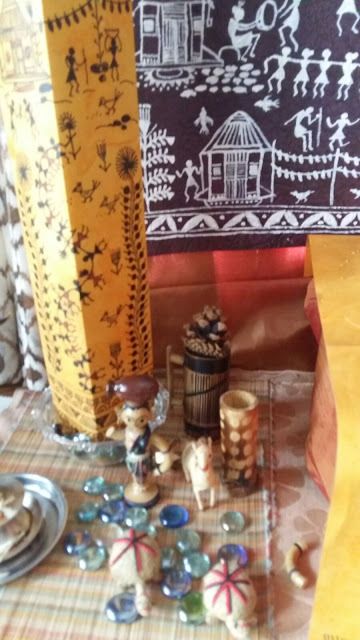 Warli art, as you know is a tribal art form of Maharashtra,immensely popular these days due to its simplicity and ease in understanding the concept. They are drawings of everyday living of the tribal, also depicting the special occasions they celebrate. 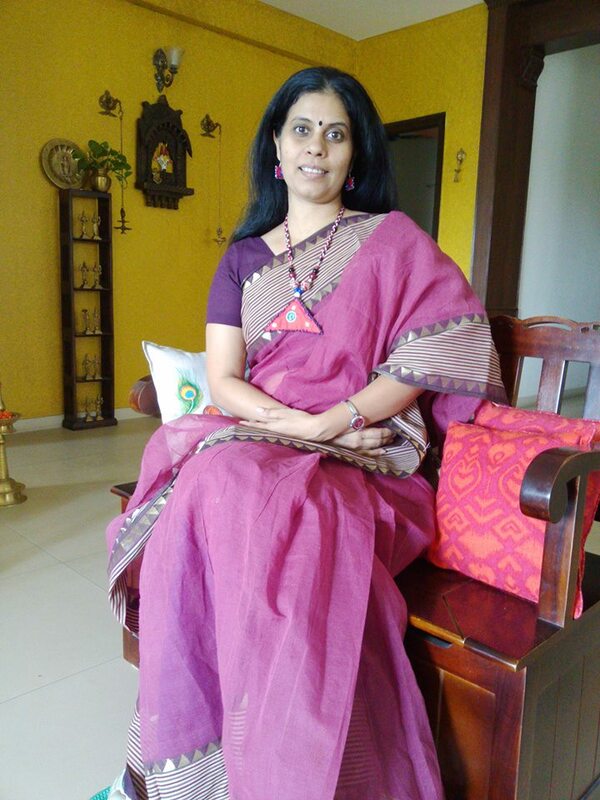 Very thoughtfully conceptualized and used as a perfect backdrop for Ganesha this is the creation of Anjali Gadgil who is a commercial artist by profession. Last year,when she bought the Mushikavahana home,she gave Him a warm welcome with this warli theme. 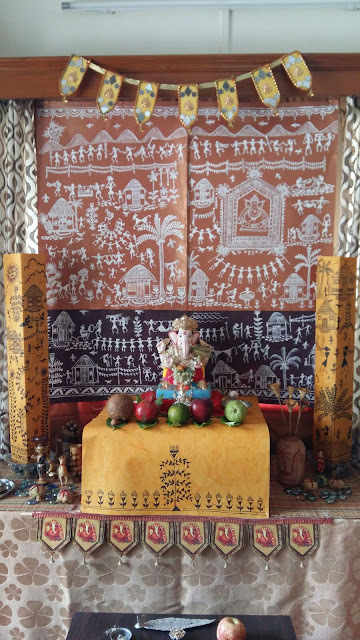 If you notice carefully,the drawing on the right hand side depicts Ganesha within home and all the festivity around Him.There is celebration, people dancing and singing, playing various instruments and apart from all these the daily activities happening in the lives of the common village man. 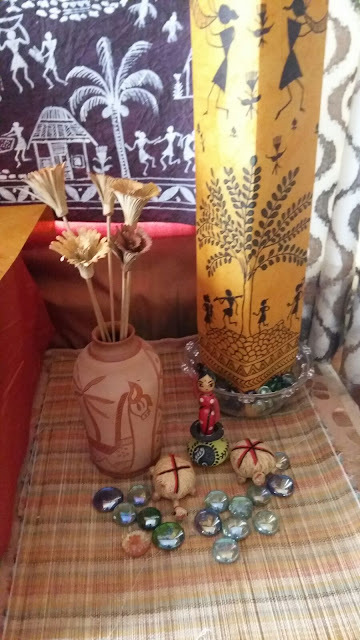 I have always enjoyed such decorations where there is a personal touch and a sign of our deep rooted culture and tradition. Am sure, Ganesha must have truly enjoyed his stay in such a wonderful setting. Don't you agree?